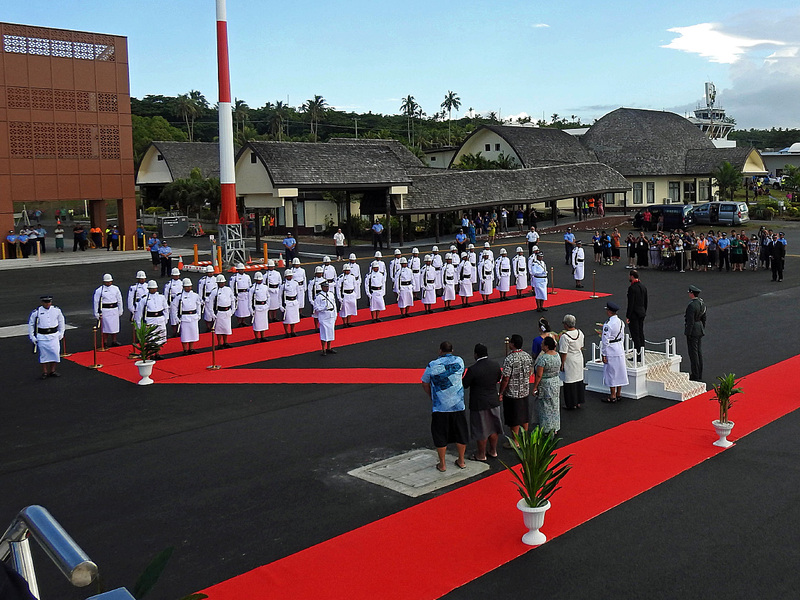 Crown Prince Haakon arrived this afternoon in Samoa, and was officially welcomed in the capital, Apia. Samoa is one of the largest countries in the South Pacific Ocean and plays – along with Fiji – a leading role in the region. Agriculture and fisheries dominate the economy, but tourism is an increasingly important industry. Like the other island states, Samoa is highly vulnerable to the effects of climate change. The rising sea level and more frequent cyclones are very real threats. In February 2018, Cyclone Gita inflicted great devastation on the country. Highlighting the impacts of climate change and what they mean for small Pacific countries is a high priority for Samoa. The country has taken an important leadership role in the United Nations and other international forums, and was an important partner for Norway in climate negotiations ahead of the Paris Agreement. 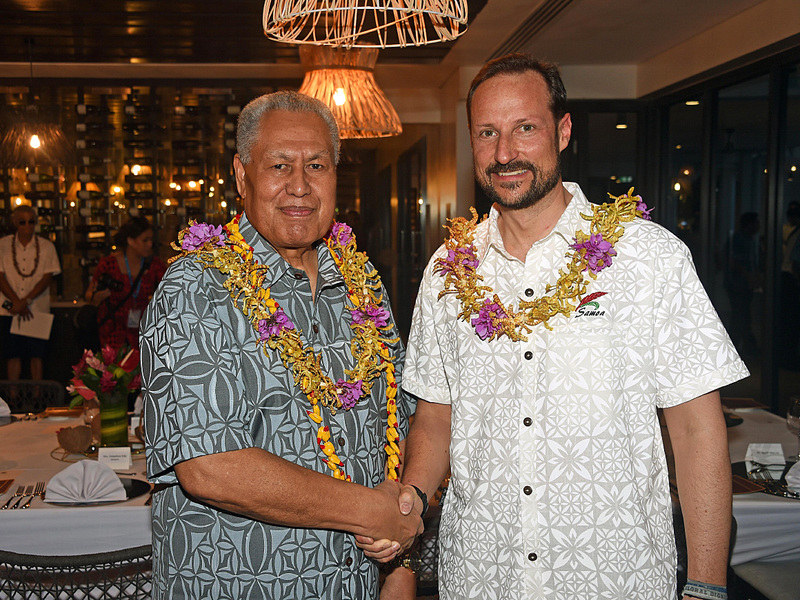 His Highness Head of State Tuimalealiifano Vaaletoa Sualauvi II held an official dinner in honour of the visit. 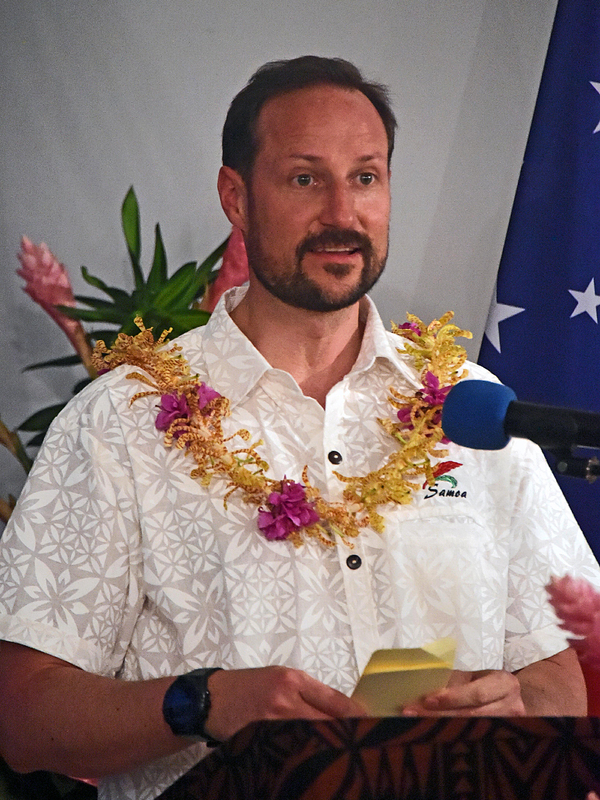 Crown Prince Haakon spoke at the dinner and emphasised the importance of Samoa’s leadership. Climate change and healthy oceans are high on the agenda in both Samoa and Norway. The people of both countries have a deep connection to the sea, and we share the concern that world’s oceans are now under threat from overfishing and pollution. “Neither fish stocks nor plastic waste are stopped by boundaries, or confined to economic zones,” the Crown Prince said, emphasising that global efforts are required to secure the oceans for future sustainable harvesting. "Neither fish stocks nor plastic waste are stopped by boundaries, or confined to economic zones. A global effort is required to secure our oceans for sustainable harvesting in the future"
"The oceans of the world form a global ecosystem. Neither fish stocks nor plastic waste are stopped by boundaries, or confined to economic zones. A global effort is required to secure our oceans for sustainable harvesting in the future – so that fishermen can bring in their catch and tourists can meet clean nature." 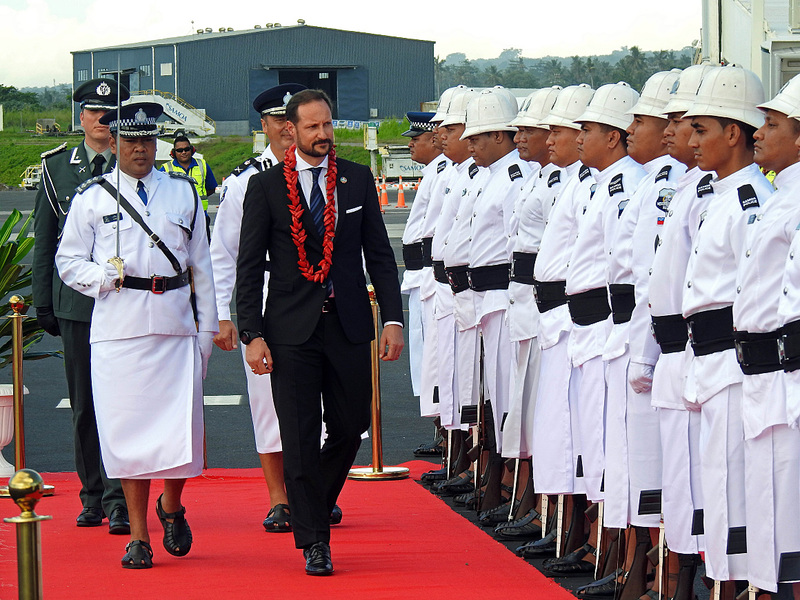 Tomorrow, Crown Prince Haakon will have a number of meetings with Samoan leaders, and there are two field visits scheduled as well. The Norwegian delegation will view areas that are subjected to frequent flooding as well as the measures being implemented to reduce damage and make communities more resilient.